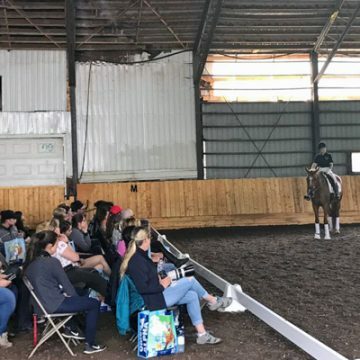 At the Saturday Symposium, Belinda discussed self-carriage while Assistant Trainer Lynsey Rowan demonstrated on the young Westphalian gelding Beaujolais. 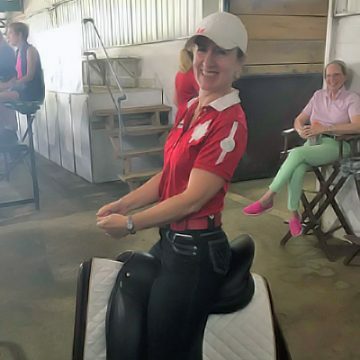 July 8 – Loving my Paramount Saddle — Thank you for your support of the Saturday Symposium! At the Saturday Symposium! 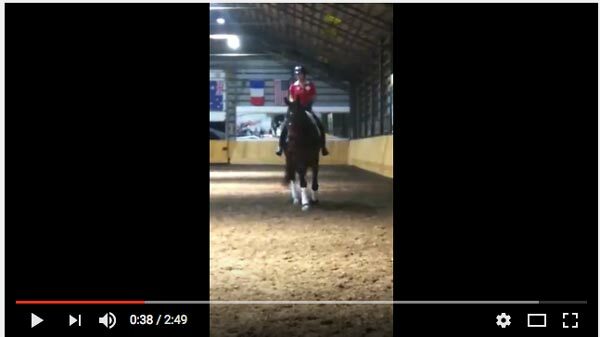 Here is video of Belinda coaching Brigitte Charbonneau in piaffe. 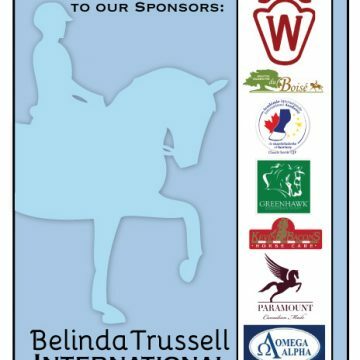 Big Thank you to our Title Sponsor for the Symposium July 8th! 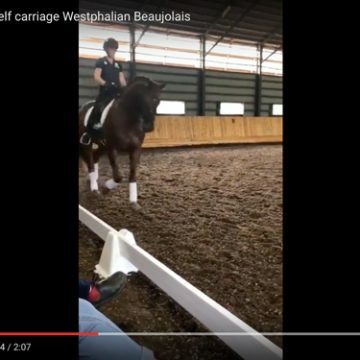 Westphalian Studbook eV, Munster, Germany. 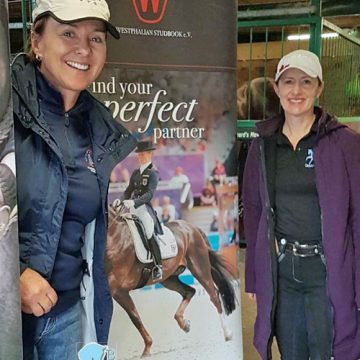 Rhegan White, clinic co-organizer, and Belinda with the Westphalian banner. 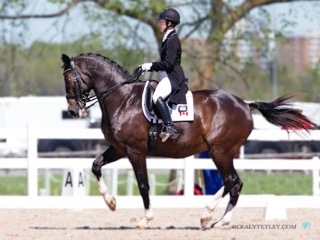 July 8 – Pictures from the first session of Belinda Trussell’s Saturday Symposium coming up now! 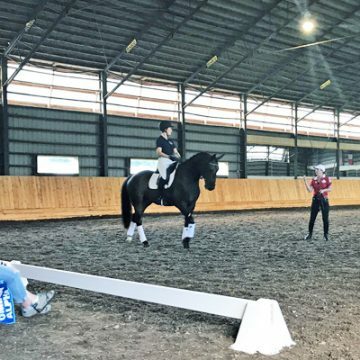 July 7 Preparations have been made and we’re putting on the final touches for the Belinda Trussell Saturday Symposium in Montreal tomorrow — Are you all ready! 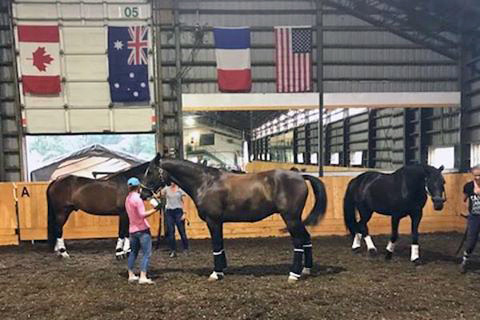 On July 7, the horses arrived for the Symposium and and stretched their legs for a couple of minutes in the arena! Anton left background, Tattoo front, and Feng de Lys on the right.